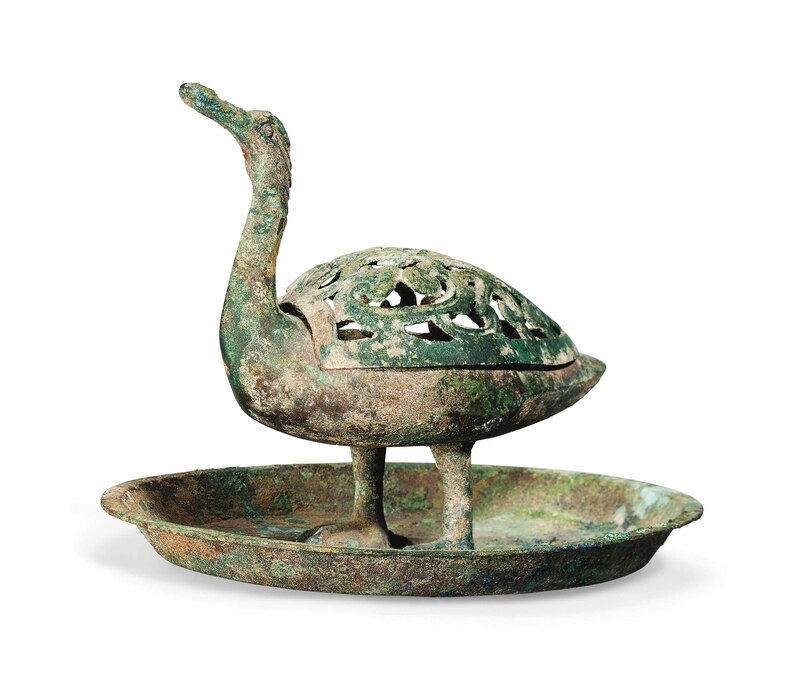 The censer is modelled as a goose on a circular stand with its eyes and neck feathers detailed. Its reticulated wings form the detachable cover. 7½ in. (19.2 cm.) diam. With Alvin Lo, New York, 16 December 1998.